The Canadian Cur is not recommended for apartment life. It is bred for work and will be happiest with a job to do. 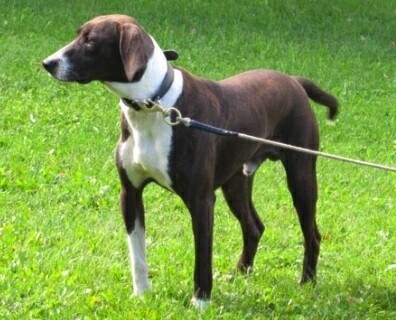 The Canadian Cur is a very active working dog that needs a lot of daily exercise. When they are not hunting, they need to be taken on a daily, long, brisk walk or jog. While out on the walk the dog must be made to heel beside or behind the person holding the lead, as in a dog's mind the leader leads the way, and that leader needs to be the human. In addition, they will benefit from a large safe area where they can run free. This breed enjoys outdoor activities and sports. The short hair of the Canadian Cur is easy to groom. Occasionally comb and brush to remove dead and loose hair. Bathe only when necessary as bathing can dry out the skin, causing skin problems. Keep the ear canal free of excess hair and wax and keep the toenails clipped.